Designated drivers now indemnified against injuries caused by a drunk passenger…for now. Injury Resources > Personal Injury Blog > Designated drivers now indemnified against injuries caused by a drunk passenger…for now. As we head towards the season of work celebrations and holiday parties the prevalence of designated driver’s is likely to rise. 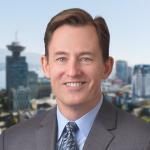 A recent case from the BC Court of Appeal addressed the indemnification of designated drivers and has found that a passenger whose actions cause injury is a “user” of a motor vehicle and, therefore, an “insured” covered by ICBC’s mandatory basic insurance. As a result, a passenger can be found liable and required to indemnify an injured designated driver. Felix v. Insurance Corporation of British Columbia, 2015 BCCA 394 involved a single vehicle car crash where the passenger died and the designated driver survived. The passenger was drunk and repeatedly grabbed the car steering wheel eventually causing an accident that killed him and seriously injured the driver. The driver sued the passenger’s estate and was awarded more than $800,000 in damages and costs and then sued ICBC (as the carrier of the province’s mandatory basic auto insurance) for indemnification. Is a passenger an “insured”? At trial, the judge found that a passenger was not an “insured” under the BC (Motor Vehicle) Insurance Act and that his actions could not be considered a “use” of the vehicle. In the result, the driver’s claim for indemnification was denied. The Court of Appeal found the trial judge erred when he found that the passenger in this case was not a “user” (and therefore not an “insured”). This broad reading of “use” stems from a 2001 amendment to the Act that changed the definition of someone who operates an motor vehicle (an “insured) from an individual who “operates” a motor vehicle to someone who “uses or operates a motor vehicle.” The court accepted the changes as an intention to broaden the scope of coverage so as to extend compensation for accident victims. However, as pointed out in an article in the The Lawyers Weekly* on the case, when the courts venture beyond determining statutory effect and into determining legislative intent it can muddy the waters for lawyers advising clients on how the rules apply to a given situation. Whether the Supreme Court of Canada will get involved to clarifying how standard interpretive rules co-exist with legislative intent remains to be seen. We think it unlikely this will happen because the facts of this case are tied to BC’s insurance scheme and legislation unique to BC. Therefore, it lacks the national significance typically required for the Supreme Court of Canada to get involved. However, the case does underscore the point that the complexity of standard insurance contracts can cause even learned judges to err. This highlights the difficulty that lay people may have in understanding the insurance coverage that they purchase. For now, at least, the BC Court of Appeal has clarified that passengers whose actions cause injury can be considered as users and are covered as insureds under the Act. ICBC has until the end of November to decide whether to seek leave to appeal the decision. If you have questions about insurance coverage (auto or otherwise) you are welcome to contact our offices for more information. *Reprinted from The Lawyers Weekly with permission. Copyright 2015 LexisNexis Canada Inc. All rights reserved.